The Launch of Global Lifestyle Foundation (GLF) was held on 28 April 2018 at the Royal St. Kitts Hotel Frigate Bay before an audience including former Governor General Sir Edmund Lawerence, former Ministers of Government, Ambassadors, faith leaders, representatives of community organizations, youth, and well-wishers. 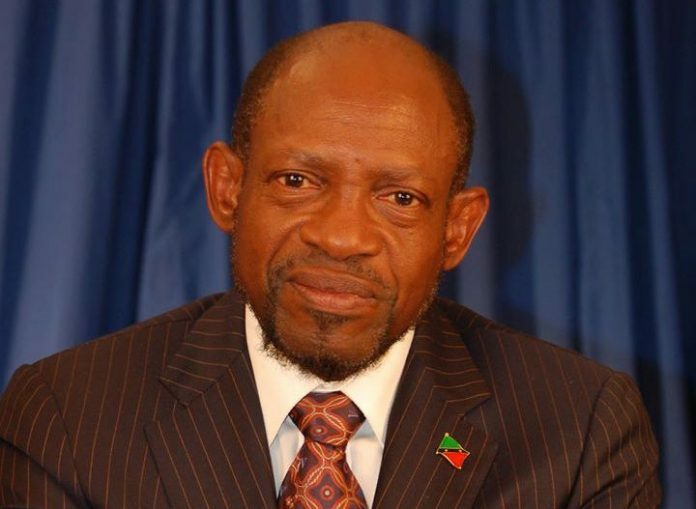 The Right Honorable Dr Denzil Douglas former Prime Minister of Saint Kitts and Nevis, former Chair of PANCAP and founder and chair of the Foundation outlined its origins, vision, and mission. He acknowledged that many individuals assisted him along the way and without their support and nurturing he would not have become a medical doctor much less a Prime Minister. “GLF is my attempt to give back to the community, the nation and the region. Its major programmes revolve around health and wellbeing, climate resilience and the green economy program and changing the lives of others for the better ” said Dr Douglas. Dr Douglas continues to be an active member of the Network of regional parliamentarians and participated in the recently concluded PANCAP Joint Consultation of faith leaders, parliamentarians, youth key populations and National AIDS Coordinators in Trinidad and Tobago, 24-25 April. Commenting on the launch, Dereck Springer, PANCAP Director stated, “I congratulate Dr Douglas, welcome the Global Lifestyle Foundation and look forward to its engagement in achieving the goals of the PANCAP Justice for All Roadmap”. For more on the Global Lifestyle Foundation, click here.